Bonnie Pointer was born in California’s San Francisco Bay area. She began singing as a child in church where her father and mother were both ministers. As a young teen she sang background vocals with Elvin Bishop, Taj Mahal, Dave Mason,Grace Slick, Chicago and many others. Along with her sisters, she has movie credits in Car Wash, Beverly Hills Cop, When We Were Kings, Working Girl, Heavenly Bodies and Studio 54. The girls then signed a new deal with R.C.A (Planet Records). 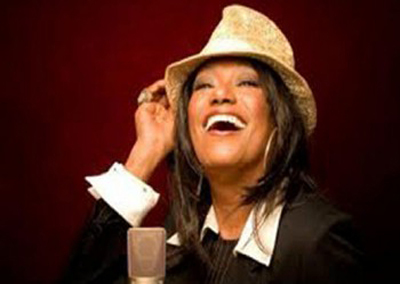 Bonnie always loved to write songs and whilst there she penned I’m So Excited which became a huge success for the Pointer Sisters. Included, on the albums that followed were, Jump, Fire, Slow Hand, Neutron Dance and He’s So Shy. 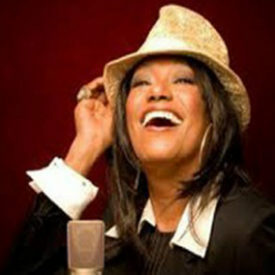 Later after moving to Motown Records, Bonnie emerged as a strong solo artist with the release of Free From My Freedom, Heaven Must Have Sent You and I Can’t Help Myself (Sugar Pie Honey Bunch), all going to Number One and resulting in platinum sales and Billboard & American Music Awards as a solo performer and with the Pointer Sisters. Some prestigious performances include the San Francisco Opera House, The White House, The Willie Nelson Picnics and the Grand Ole Op’ry. She also has a star on Hollywood’s walk of fame.